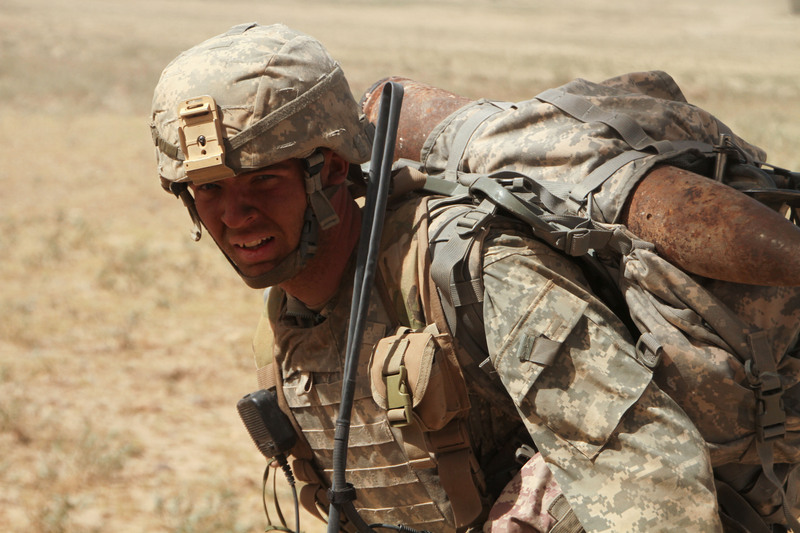 Ben Shroyer, a Soldier from the 173rd Airborne Brigade carries home a rusted 107mm artillery shell discovered in a cache during a patrol between FOB Shank and FOB Ghazni, Afghanistan during the height of the American surge in Afghanistan. September 2010. Photo taken by John R Bruning with a Canon 7D.